There are very few things that can replace a mother’s warmth. Swaddling is one such thing. There are very few things that mother’s warmth can be replaced with. Swaddling is one of them. All mommies love to see their babies have a peaceful sleep? A sleep-deprived the new born can be quite a handful. If the sleeping patterns are maintained properly, the baby will grow well, physically and mentally. Confused when we suddenly moved from swaddling to sleep?this is because they are interlinked. Babies sleep better if they are swaddle. We give you some important information for how to swaddle your baby and would help you to choose amazing swaddling blankets that can give the baby warm and much needed calm time. Also, you can see our tips on swaddling and safety precautions. What Is A Swaddling Blanket? So, what is swaddling blanket? They recreate the environment that was in the mother’s womb. Blankets give the baby perfect warmth and comfort needed to sleep better. And you have peace of mind. These are made from 100% cotton material, amazing sleep bag ensures you that the baby gets the perfect sleep in the coziest atmosphere. With a zipper all the way through, this bag mimics the enviroment in the womb. The pajamas make baby feels comfortable.The bag gives the baby enough space to move his legs. Easy to clean, the material of that kind bag makes exchanging the air easly and regulates the temperature as well. Most of new mothers swear by this product! These blankets usually are in two sizes – 42” x 42” and 47” x 47”. So, be sure to order the right size. These blankets are light, they keep the little one warm. We recommend to be 100% cotton. The more you wash it, the softer the blanket will become. May be, these blankets are not the cutest in the market, but they do grate job ! This cute sack often is in two varieties: 100% polyester and 100% cotton version. They also are in three sizes: preemie, newborn and small. These swaddles have a zipper and velcro, that makes them easy to use. If you feel uncomfortable with the whole swaddling process, the Cute Sleepsack is the perfect for you! Just like the Cute one, the Summer Infant Swaddle is with a velcro design,too .But the most loved from mothers about these swaddles is their design. If you are searching for colorful designs, go for the Summer Infant Swaddle. The blankets usually are in three sizes: small/medium and large. If you want a vdecision that is easy to use and looks cute, this is your best bet! If you are a swaddling professionalist, this product will be the best for you. The Miracle Blanket is without a zipper or velcro. Instead, it use an unique and complicated wrapping process. The wrapping process may seem confusing to some. But most of mothers have only good things to say about the Miracle swaddling blanket. The only disadvantage is that it doesn’t come in different sizes. It also doesn’t have a lot of diversity but keeps wiggly infants safe and warm! This is one of the best sacks for moms who like to keep things simple. Just place your baby in and zip it up! That allows your infant to move around and feels comfortable. Just like the Easy one, the Swaddlepod is a no-fuss swaddle blanket. It is ideal for newborns and prevents startle reflex that can wake your baby up. Besides all we mentioned above, let us quickly check these points out . Keeps the infant comfortable and calm by assuring that will be in a womb-like experience and atmosphere. Places the arms closely towards the sides so preventing a startling reflex, which not just wakes them up from their rest but could increase the heart rate,too. When the arms are held close together even if the infant gets startled, he wouldn’t wake up suddenly. Keeps the right temperature, like the baby was used to in the womb. Sacks made of muslin or cotton cloths ensure good air circulation and the right atmosphere. Prevents stifling unlike loose blankets, which could lead to Sudden Infant Death. Swaddle blankets are important, but equally important is the process of using them. Learning to swaddle your infant could take a few (read two to three attempts). You have to be sure that the baby feels comfortable while you’re swaddling him. We know you will appreciate some help here. You have to consider a few things when swaddling the baby: his comfort is number one on the check list, his readiness to be swaddled is number two and then the material and width of the blanket. Let’s understand how to swaddle a baby. Consider the size (preferably 40×40”) ,shape (should be square), the material and the elasticity of the blanket. It could be a little (but not very) stretchable. This would help you wrap the baby well. Fold the blanket in a diamond form from the top corner of the blanket. The fold should be as long as your infant is. Once the fold is ready, place the baby on it. Make sure that the baby’s face and neck are above the fold. Support the neck while you are swaddling the infant. A way could be to hold the baby’s arms around his sides. The arms would outline the baby’s sides. Another decision is to fold the hands over the belly to replicate the posture in the womb. Whatever way you use, make sure that the baby feels comfortable. Hold the coverlet on the side of one arm and tuck it in the downgrade direction under the fist of the other arm. The blanket should be tucked in such a way that holds the baby’s arm in place. Once one arm is adjusted and covered, close the bottom of the swaddle. The section, which is left at the bottom, should be folded through the upward direction near the baby’s neck. The side should be this one where you just tucked the baby. Same like the first arm, adjust the other arm wrapping it around. It should come over the fold that you made from the bottom of the swaddle. Cross it on the downward opposite side. The leftover blanket from the second arm should be overturned from the legs to the top in such a way that it forms a V-neck. Tuck the blanket under the shoulder of the first arm. You will have to lift the baby up a bit to complete the final tuck of the swaddle. 2.Do not tighten too much the swaddle. A tighter swaddle does not give the baby comfortable atmosphere. You should only make the infant feel warm, not suffocated. 3.Once the swaddle is done, monitor the baby’s temperature and check for air circulation. We know how to make our tiny babies comfortable. But it isn’t the end here. There are still some things you could take! How Long Can I Swaddle My Baby? And we mean the age until which you can swaddle the infant. It is best to swaddle your baby until three or four months, but some parents prefer to do it for a nine months. While most doctors recommend swaddling babies until four to six months, they also agree that there is no harm in longer period. The idea is that your baby feels relaxed and comfortable while sleeping. When your baby gets used to sleep without a swaddle, t you can do away with it. How would you understand when to wean your baby off a swaddle? The best way is putting one arm off the swaddle. If your baby seems irritable and is not sleeping well , so he is not ready yet. So wrap the baby back. After nine months, make attempts to wean the baby off the swaddle. When Should You Avoid Swaddling? Hip dysplasia is an abnormal bone formation in the hip section. Because of the abnormality, the bone doesn’t fit well in the socket. If your infant has this, do not swaddle him. Check up with your doctor and make sure that the baby is ready for swaddle. When the baby is not sleeping (trying to play or move), avoid swaddling. This may seem logical, but the idea is to swaddle the baby only when you are trying to calm him or put him to bed. Swaddling prevents Sudden Infant Death Syndrome (SIDS), but it may also increase the risk . Confused? If your baby isn’t swaddled properly , and the folds are very close to the baby’s neck (thus obstructing the windpipe), there are chances of SIDS. So make sure that you’re swaddling correctly and leaving enough space near the neck region. A lot of infants lose their ability of arousal when they are swaddled for too long. It means they wouldn’t know when to wake up. 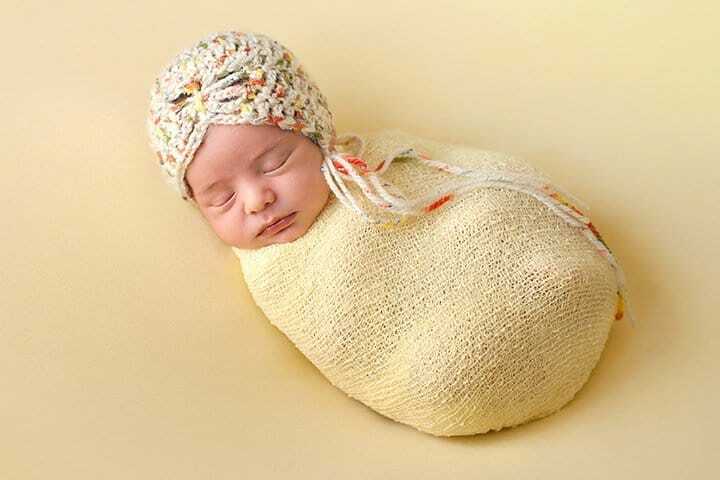 Many parents want their babies to get a good sleep, newborns should be swaddled for a limited time only. A baby needs around 12-16 hours of sleep every day. You need at least seven! The swaddling blanket can ensure enough sleep for you both. Make sure that you get it right! Have you ever thought of using a swaddling blanket?